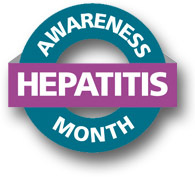 May is Hepatitis Awareness Month, and Acting Surgeon General Dr. Boris D. Lushniak has just released a Surgeon General’s Perspective to encourage physicians to test baby boomers for Hepatitis C. Hep C is an infectious disease caused by the hepatitis C virus (HCV). It affects the liver and chronic infection can lead to cirrhosis (advanced liver disease), which lead to a loss of liver function (such as detoxification). Click here to read the full Surgeon General’s Perspective about Hepatitis C.
If you would like to be screened for Hepatitis C, call your primary care physician or make an appointment with Whittier Street Health Center online.